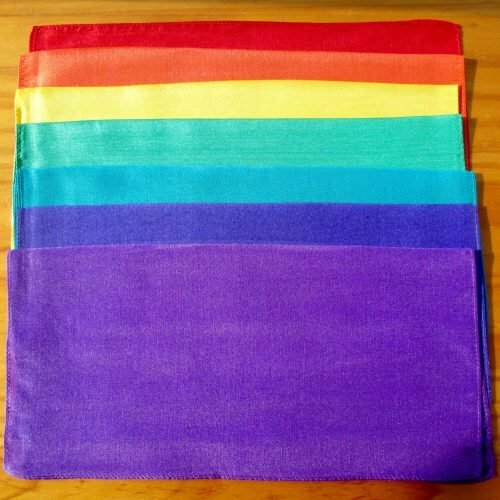 Colour therapy taffeta chakra set. Because each scarf in this set of seven is large, more of the body can be covered during treatments. For that reason, this set is popular with holistic therapists. Each scarf measures approximately 27×150 cm / 10.5×59 inches. The silk used is a heavy weight taffeta silk, therefore fairly rigid and robust during frequent use. 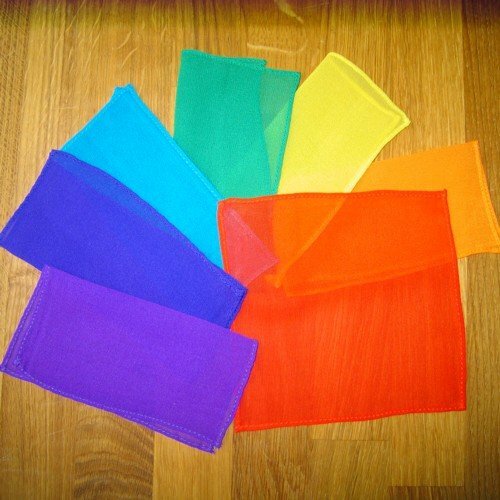 Your “colour therapy taffeta chakra set” can be used in many holistic and beauty treatments. As a result, these are useful in chakra treatments, crystal healing, colour therapy, hot stone therapy, meditation etc. Lay them over or under your client. Also, combine them with crystals. Wrap your singing bowls up in them for protection. Likewise they look great displayed in the treatment room. 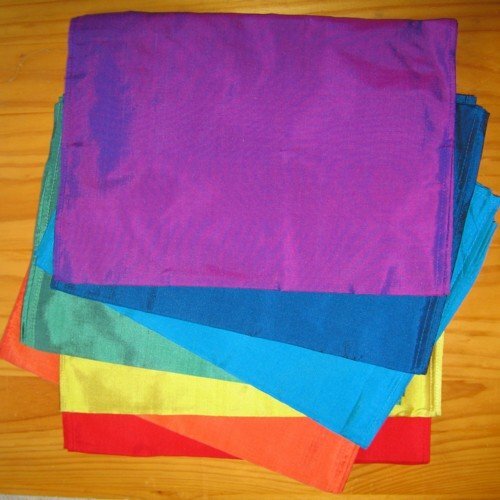 Choose a colour a day to wear as a scarf. Likewise, you can twist two different colours together for wearing. The stock of this set is fairly low now. 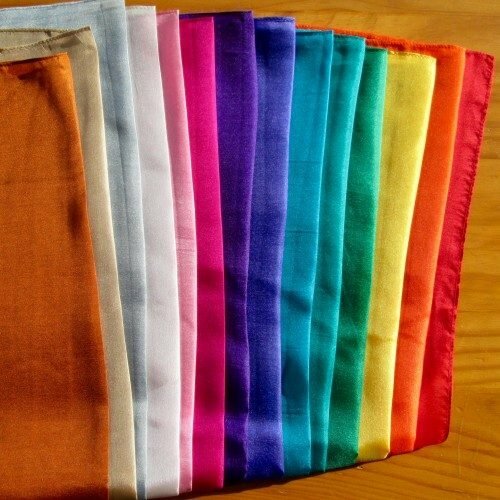 See the “care for your silks” page for washing advice.